We are honoured to have an Evolt 360 in the first Anytime Fitness in Thailand. 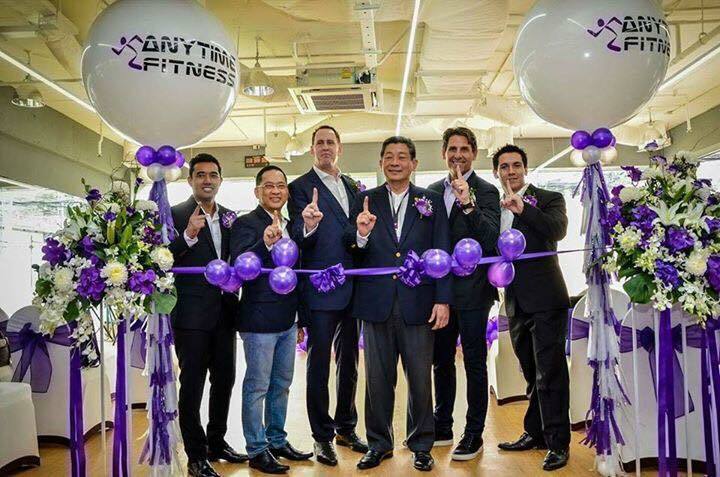 Congratulations to Anytime Fitness Lumphini Mr. Billy Pech and Dr. Andrew Bryant, Club Owners,on the 1st launch of Anytime fitness in Thailand. Presided at the event was an honorable guest, H.E. Khun สุวิทย์ คุณกิตติ| Suwit Khunkitti Former Deputy Priminister, Mr. Chuck Runyon, Co-Founder and CEO of Anytime Fitness Mr. Maurice Levine, CEO and Master Franchisee of Anytime Fitness Asia and Dr. Anuruck Watanathawornwong. This is adding to 3,600 Anytime Fitness Club portfolio worldwide.